SHRI HAR GOBIND PUR Is About 41 Kms. From Gurdaspur And 60 Kms. From Amritsar. It Is Situated On The High Bank Of River Beas. 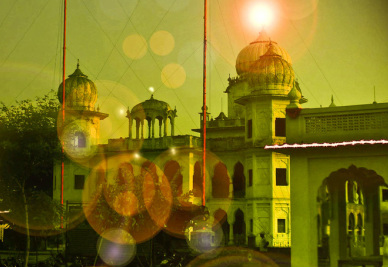 The Town Was Founded By SHRI GURU ARJUN DEV JI, The Fifth Sikh Guru After The Birth Of His Son And Successor SHRI GURU HAR GOBIND SAHIB. It Was Then Known As Gobind Pur. Guru Hargobind Won A Fierce Battle St Rohilia Near This Place In 1621 Against The Mughal Armies Led By Abdullah, The Faujdar Of Jalandhar. At The Place Where Guru Sahib Took Rest During The Battle, A Gurudwara Known As DAM DMA SAHIB Has Been Constructed. The Trade Of The Town Was Once Considerable Cotton And Sugar Was Sent To Other Towns Through The Ferry At SHRI HAR GOBIND PUR. But The Trade Has Fallen Since The Introduction Of Railway Communications. A Long Bridge Constructed Over River Beas Connects This Town With The Districts Hoshiarpur And Jalandhar.